When the player is attacked by a spider or cave spider, this data pack will place cobweb at the players feet. This makes cobwebs renewable, but also makes fighting spiders more dangerous. Currently the placed cobweb will replace air blocks, and most plants, but not liquids or other blocks. If the block the player is standing in is not okay to be replaced, but the block at their head height is okay to replace, the data pack places a cobweb at the players head height instead. 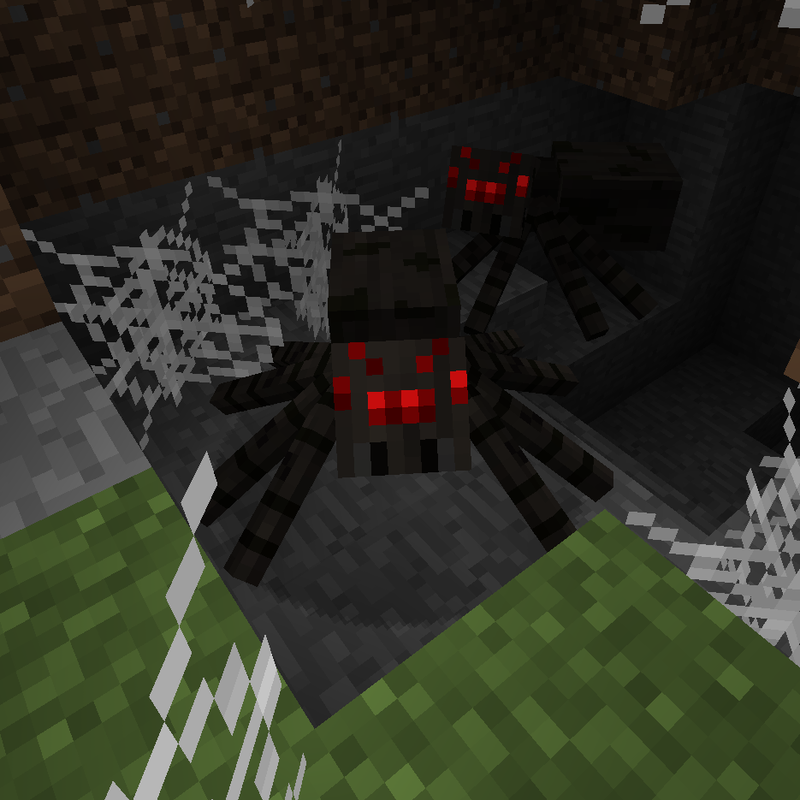 By default spiders and cave spiders have a 50% chance of trapping the player in a web. If you'd like to change that, you can find the configuration file at "data\spider_web\functions\config.mcfunction" within the zip file of the data pack.